Given Perl's natural fit for web applications development, it's no surprise that Perl is also a natural choice for web services development. It's the most popular web programming language, with strong implementations of both SOAP and XML-RPC, the leading ways to distribute applications using web services. But books on web services focus on writing these applications in Java or Visual Basic, leaving Perl programmers with few resources to get them started. 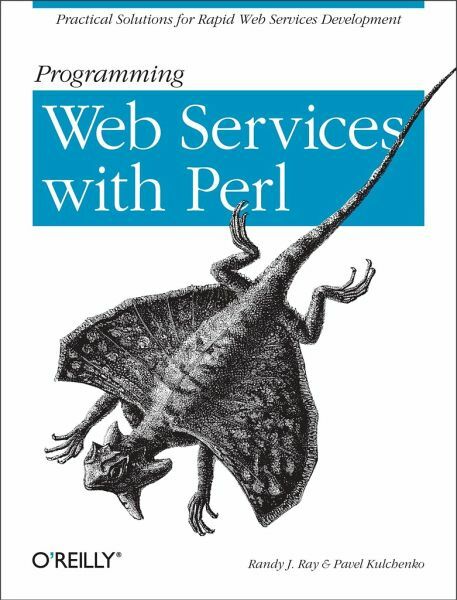 Programming Web Services with Perl changes that, bringing Perl users all the information they need to create web services using their favorite language.Programming Web Services with Perl steers clear of the hype surrounding web services and concentrates on what is useful and practical. The book introduces the major web services standards, such as XML-RPC, SOAP, WSDL, and UDDI, and shows how to implement Perl servers and clients using these standards. You'll find detailed references on both the XML and SOAP toolkits, and learn when to use one technology in favor of the other. The book is rich with programming examples that you'll find useful well past the learning stage. And, moving beyond the basics, the book offers solutions to problems of security, authentication, and scalability.Some of the topics covered in the book are: * HTTP and XML basics * XML-RPC and the toolkits * SOAP and toolkits * SOAP::Lite * Using SOAP with SMTP and other protocols * Advertising and discovering with UDDI and WSDL * The REST methodology * The future of web services Programming Web Services with Perl was written for Perl programmers who have no prior knowledge of web services. You can pick up this book without any understanding of XML-RPC or SOAP and be able to apply these technologies easily, through the use of publicly available Perl modules detailed in the book.If you're interested in applying XML-RPC and SOAP technologies to distributed programming applications, then Programming Web Services with Perl is a book you'll want to have. has over 10 years of experience in design and development of complex financial and banking applications, and information management in the financial services sector. Pavel is the author and maintainer of the popular SOAP::Lite module for SOAP clients and servers in Perl, the XMLRPC::Lite module that implements XML-RPC protocol, and the UDDI::Lite module, a client interface for UDDI repositories.